Wednesday, May 14th, 2014 . 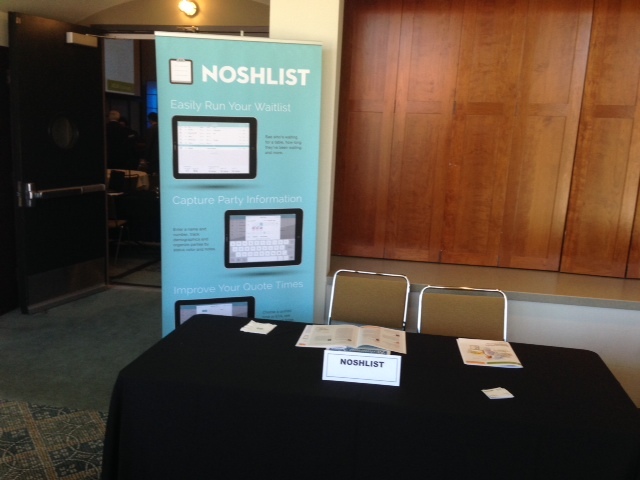 NoshList was proud to be a sponsor of the 18th Annual Restaurant Industry Conference put on by UCLA Extension in collaboration with world-leaders in brand development, food services, design innovation, operations excellence, market analysis and customer satisfaction. Having recently launched our new waitlist app for iOS 7, the conference was a great place to show how NoshList continues to innovate in helping restaurants improve their guest experience and operational efficiencies. We also plan to be at the big National Restaurant Association conference on May 17-20 in Chicago. The UCLA event was a great place to network and learn, as it brought together a number of honored speakers and panelists to discuss current industry issues and trends. Conference topics included brand development, food service, design innovation, operations excellence, market analysis and customer satisfaction. The leaders of Yelp were there along with emerging restaurant concepts panel speakers. BrightLocal said that 95% of consumers are turning to the internet to find local businesses. One of our favorites was the presentation by Chef Thomas Keller (The French Laundry), Innovation Award Winner. He has won multiple awards, including “America’s Best Chef,” though the interviewer (Pres of the Culinary Institute of America) also called him the most important chef in American history. 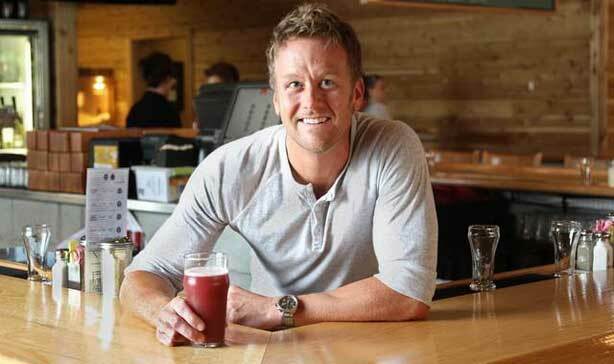 He was interviewed by Dr. Tim Ryan, President of the Culinary Institute of America (CIA). Dr. Ryan won the award last year and came back to interview Thomas Keller this year, partly because they are very good friends, which gave the interview a different perspective. Keller had a very interesting story and presented a lovely lunch. It was also fun when the UCLA singers came in at the beginning and sang the itinerary for the day to the group. Tuesday, May 6th, 2014 . 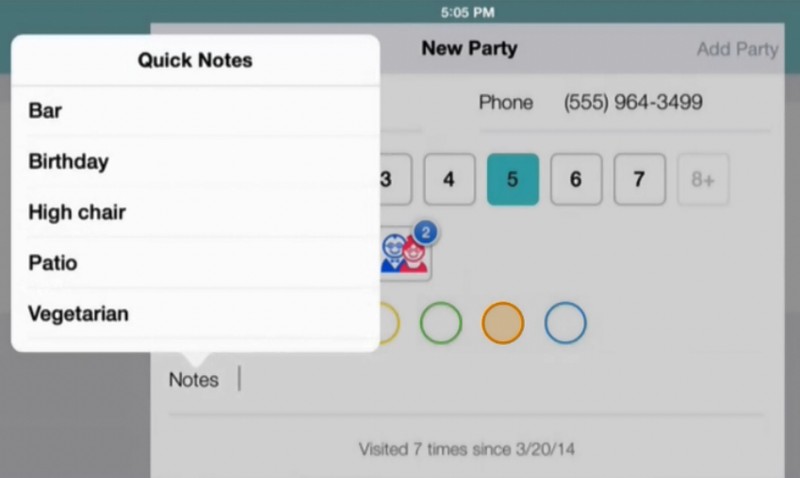 With the new Quick Notes feature, restaurants can define as many pre-set notes as they would like to appear when a hostess is adding a party to the waitlist. It’s great for common events, such as birthdays and anniversaries, or popular customer preferences, like dietary restrictions. The notes can be viewed in the waitlist for easy reference and can be synched across all devices a restaurant might have. A restaurant can also customize the table numbers that appear in a spinner for simple table assignment when customers are seated or added to the waitlist. 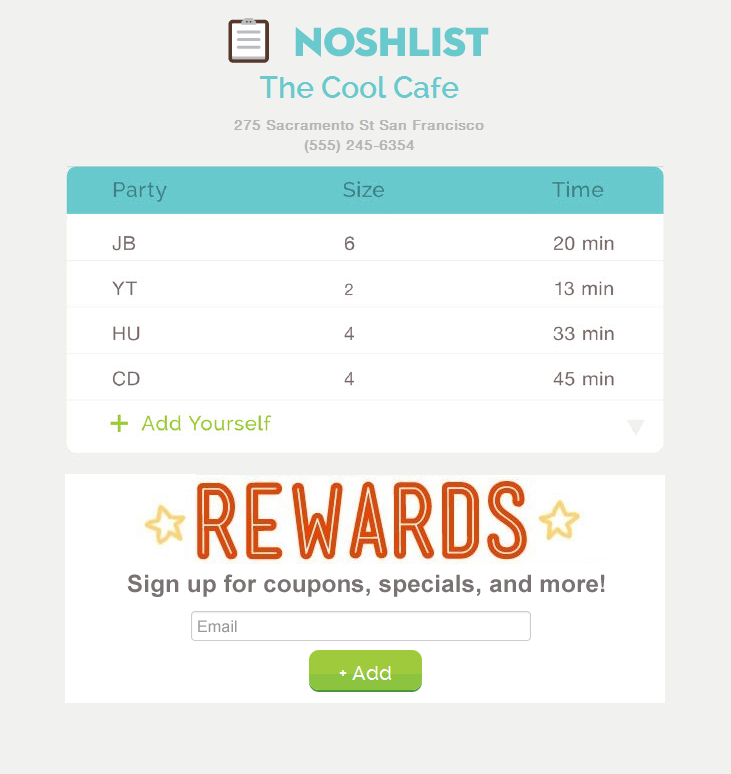 Table management is a natural extension of running a waitlist, and we have made it much easier to assign and track table numbers in the new NoshList app. The new app also integrates other features into the main waitlist view in more seamless ways. Seated history shows below the current list and can be toggled on and off. Parties that have an estimated arrival time are grouped below those with a quoted time, and people that add themselves to the list show up at the top with special highlighting to alert the hostess. Saturday, March 1st, 2014 . 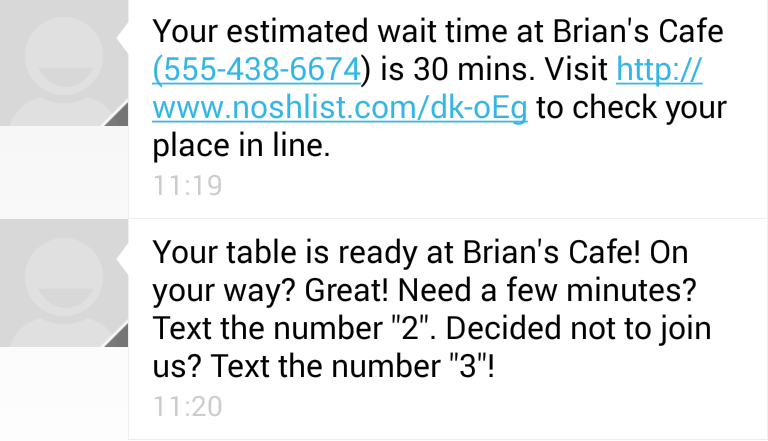 When a person adds themselves to the list the hostess will see a notification on their NoshList app and can choose a wait time and add other information through the regular flow for adding parties. The information the person submitted will automatically be pre-populated in this flow and the customer will get a confirmation message when they are added to the list. You can also choose in the settings to have the person automatically added to the list. 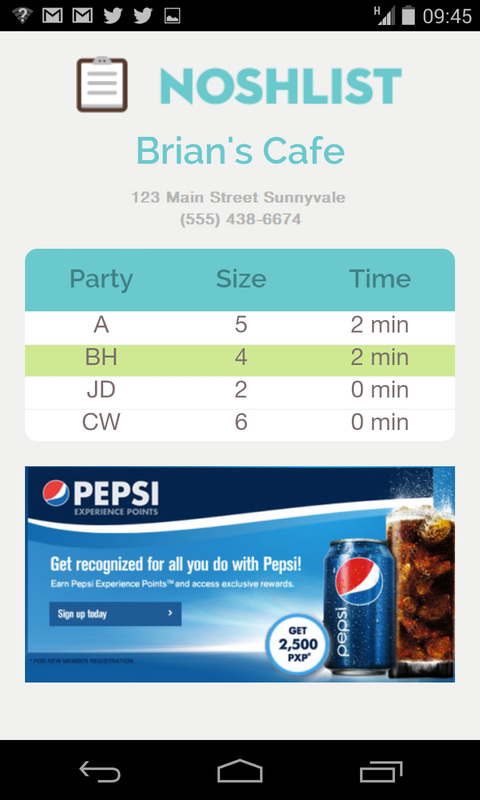 We are always looking for ways to make people’s wait experience better, and we have added a new way for restaurants to engage and communicate with guests in a non-obtrusive way while they are waiting. 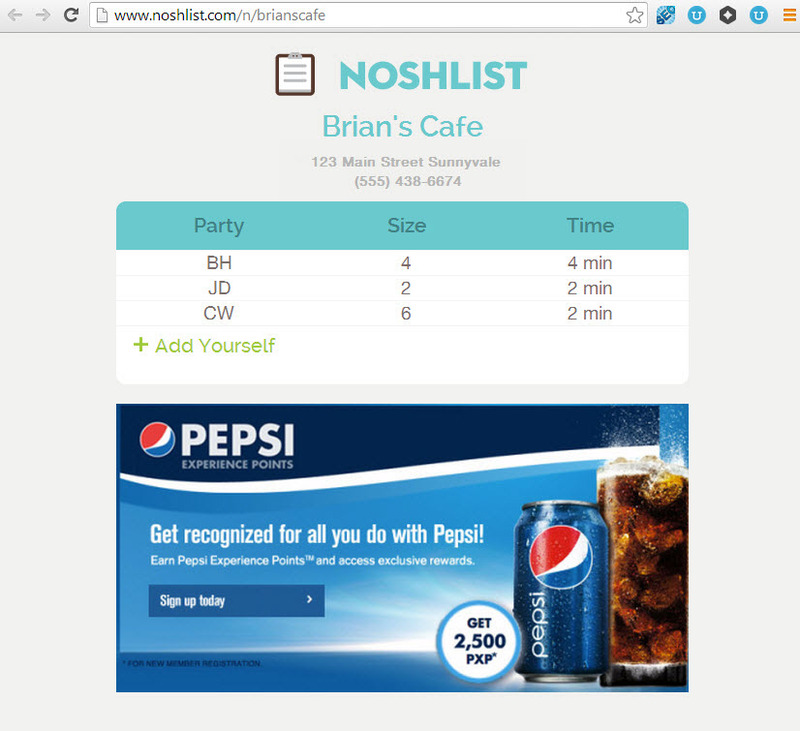 There is now a new NoshList Premium feature for restaurants and other places using NoshList to customize their public waitlist page on WaitList with any information they’d like their customers to see. Some ideas include daily specials, reward program information, a social media feed or video, a link to leave a review on Yelp, among others. 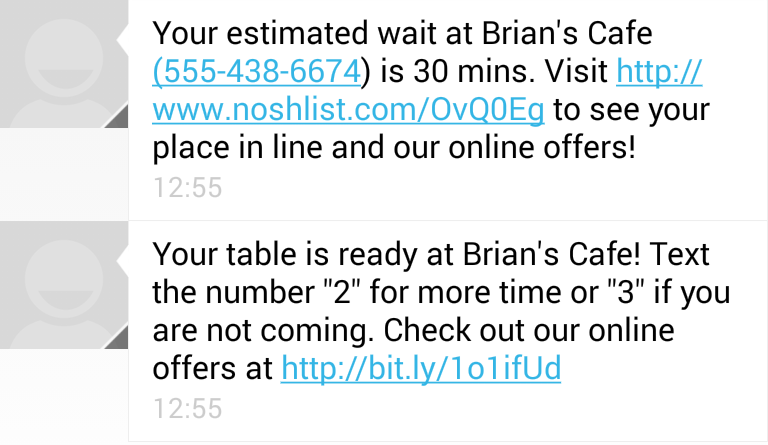 The way NoshList normally works is when a visitor has left their phone number and is added to the waitlist on NoshList, they automatically receive a text message confirming they have been added to the list and giving them a link to the public waitlist so they can check their place in line. 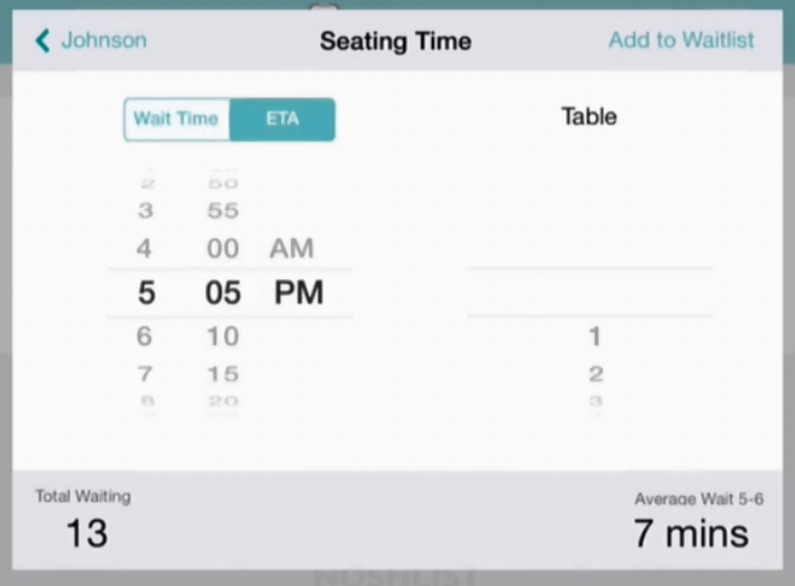 The new feature allows guests to see more information below this waitlist, giving restaurants a great way to improve the guest experience even more and give helpful information to guests while they are waiting, right on their phone. The public waitlist can also be displayed on an internet browser in the restaurant or can also be viewed by customers from home. 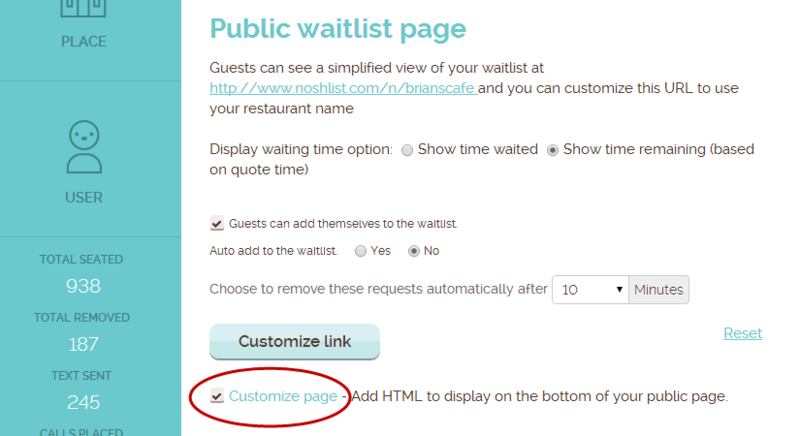 This public waitlist page is free for all NoshList accounts, and NoshList Premium users get access to this new customization feature as well as the option to let customers add themselves to the waitlist from their phone. 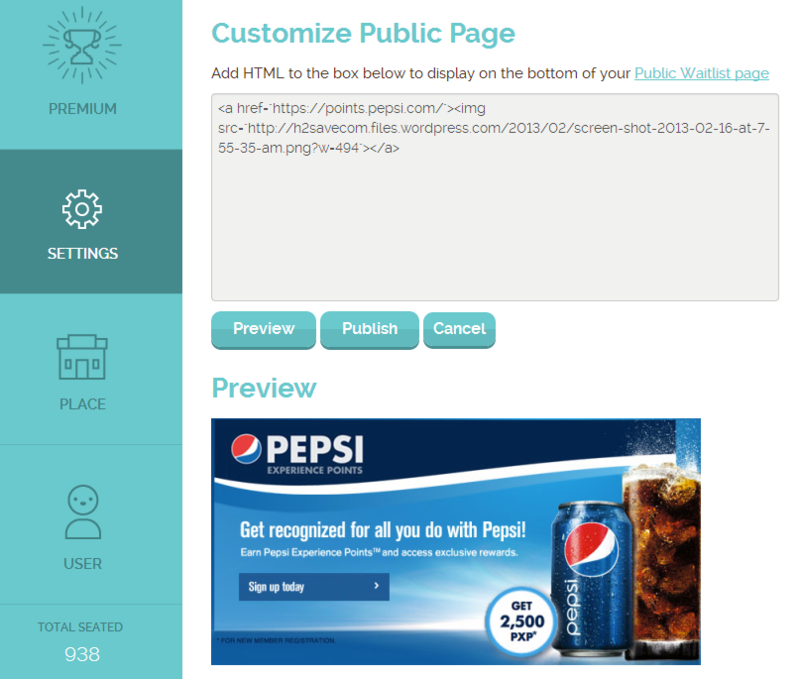 Want to customize the page even more or include the NoshList waitlist on your site? Let us know at support@noshlist.com and we can help you with this as well.